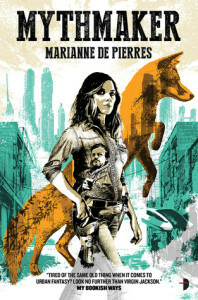 Marianne de Pierres remains one of the most versatile authors writing in the Australian scene, she’s not afraid to tackle any kind of story that takes hold of her and she’s always up for trying something new. Plus, she’s also great fun to have around! This interview is part of Snapshot 2016 and is reposted from the Australian SF Snapshot Project. #Snapshot2016. Marianne de Pierres received the 2014 Curtin University Distinguished Australian Alumni Award for significant and valuable contributions to society. This award was granted in recognition of her feminist speculative fiction. She is the author of the award-winning Sentients of Orion and Peacemaker series. Her young adult Night Creatures trilogy was listed as a Recommended Read by both the Stella Prize and Victoria Premier’s Literary Award panels. Under the pseudonym Marianne Delacourt, she has also written a series of crime novels for which she has received a Davitt Award. 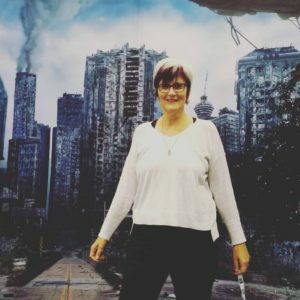 She is a writing educator and mentor, a proponent of Transmedia, and has been involved in several successful creative partnerships. Visit her other websites at www.mariannedepierres.com, www.tarasharp.com.au and www.burnbright.com.au. You’re working on feminist science fiction for your PhD project, what is the most surprising thing you’ve learned in your research and reading so far? The short answer is “everything”. It’s been a wonderful and soaring learning curve for me: from Donna Haraway’s cyber-feminsim through to the post-feminist theorists. More specifically though, my topic examines how certain female speculative fiction authors imagine future feminism in their work. The most surprising discovery is the conclusion that I’m beginning to draw from an analysis of three particular texts. I’m using vN by Madeline Ashby, God’s War by Kameron Hurley, and Zoo City by Lauren Beukes as my case studies. Though set in vastly different worlds and written in diverse styles, there are some strong commonalities in their subtexts. But you’ll have to read my exegesis to find out what those are! No spoilers yet. 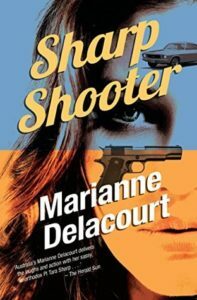 The recent re-release of ‘Sharp Shooter’ internationally is so exciting and I’m so looking forward to the release of the fourth novel in the series! Can you give us a hint of what we can expect from Tara’s next adventure? Thanks Ju! I am also really thrilled that Twelfth Planet Press have picked up the Tara Sharp series for their Deadlines imprint. The books are being re-released over the course of this year with new covers, and each one has been revised, and in some instances new material has been added. Cathy Larsen is producing some splendid new artwork. Book 4 will be out around November and is titled Sharp Edge. Things are ‘hotting up’ between Tara and Nick Tozzi and she’s not sure she can handle it, so (in usual fashion) she plunges into her latest adventure to avoid having to make decisions. This means helping her ex-fiancée, Garth, with a money laundering problem and disentangling herself from the bikie gang to whom she owes a favour. Cass and she also move out of Lilac Street. Everyone’s lives are evolving. One of your strengths as an author has been your ability to work across genres, from YA and urban fantasy to science fiction, crime and dystopia. Do you have a favourite amongst the genres you’ve written in and are there any you’d still like to try out? Funny you should mention that! Once my PhD novel is complete, I plan to work on a biography about a man named Colonel Herman Thorn, who lived in early 19th Century New York and Paris. I’m so obsessed with this story that for the first time in my life, I feel compelled to write non-fiction, and I refuse to be daunted by the fact that it’s a new genre for me. Pamela Hart’s (aka Freeman) historical novels are some of the best world building I’ve read. Pamela’s a terrific writer in all genres, but I agree with her husband (author Stephen Hart) who says she’s really found her niche here. Octavia Butler. I’d be interested in pretty much anything she had to do or say. Virgin’s in a tight spot. A murder rap hangs over her head and isn’t likely to go away unless she agrees to work for an organisation called GJIC with Nate Sixkiller as her immediate boss. Being blackmailed is one thing, discovering that her mother is both alive and the President of GJIC is quite another. Then there’s the escalation of Mythos sightings, and the bounty on her head. Oddly, the strange and dangerous Hamish Burns is the only one she can rely on. Virgin’s life gets… untidy. What a great continuation from Peacemaker! Mythmaker is the new book in this series and it picks up where the last book left off with Birrimun Park still under threat by Mythos, a largely unknown enemy. This book, this series has such grand style about it! Fantastic characters that live up to their outlandish names, government conspiracy, political intrigue, environmental dystopia, the unknown alien enemy, tiny hints of romance – but nothing trite or easy. This book reminds me of Lois McMaster Bujold in the way it blends different sub-genres to get the best telling of a story, and I devoured every word and was left desperately wishing for more! Book two of a series, Mythmaker benefits greatly from reading Peacemaker first, as it builds on the story begun in book one and is clearly working towards a grand conclusion. Having read much of de Pierres’ work, it will be well worth the wait! I reviewed Peacemaker not long ago if the sound of this series interests you. This book evokes a believable imagining of a near-future Australian not-quite dystopia. The supercity setting with overpopulation and one remaining nature reserve in Birrimun Park seems real enough to send chills down your spine. One of the elements I particularly liked about Mythmaker was how technology was both an ally and an enemy. Issues with lack of citizen privacy exist, there’s a sense of constant surveillance or close to it, but it also seems to be something that can be manoeuvred around. And similarly, there are limits to the information that can be easily obtained by the agency Virgin is working for with Nate Sixkiller. In this book, technology is used as tool and not as a crutch for the story, something that isn’t always done well but here it’s quite apparent. It’s also clear that the government agency that Virgin is forced to join forces with isn’t telling her everything, but she has great friends and the odd unlikely ally or two that help her get to the bottom of things. This too is what is satisfying, a cast of characters and not one lone hero with the weight of the world on their shoulders – there are always other people involved. I love the way Virgin isn’t satisfied with being put in a place and told to do a certain thing. She takes the role she’s been given and the constraints and uses them to do things her own way. Also, I really love the way Caro’s role in the story and as Virgin’s friend is continued and expanded as it feels very real to me. This is something that I’ve noticed particularly with de Pierres’ writing is that she writes friendship beautifully, it’s deeply satisfying. If you’re someone who reads for great friendship, then you can’t go past the friendships and character dynamics created in this book, and others by the author (I’d particularly recommend the Tara Sharp books for friendship dynamics, and the Sentients of Orion series for intricate, complex and compelling character dynamics). All of the characters and not just the protagonists in this series are colourful and so deftly written I can almost picture them as I read, almost hear their voices when they speak – like Papa Brise, Chef Dab, Caro and Greta. I love this and it’s often what has me fall in love with a book or series. More and more this style of urban fantasy is what I’m drawn to. Stories of a city, stories of a place, but not an old-world foreign, medieval style place. I love the weave of fantasy with modernity! And I love the way that books like this can project into the future the concerns of the present, the consequences of our lack of environmental foresight, the threat of corporate and government oversight and what that change in the context of citizenship and freedom may look like. I love the Australia that is at the heart of this book, it’s a layered mythology that is anything but stereotypical. Instead, it comes across as familiar to those of us who live here, and I think creates an inside view and sense of knowing for readers from beyond Australia’s shores; not in a way that evokes typical imagery or landmarks, it’s deeper and more subtle than that. If you are looking for unique, beautifully written urban fantasy. This series is for you, Peacemaker and Mythmaker are visionary and deeply satisfying books to read. Mythmaker continues what Peacemaker started ramping up the action, with even higher stakes, doesn’t let up and definitely doesn’t disappoint. 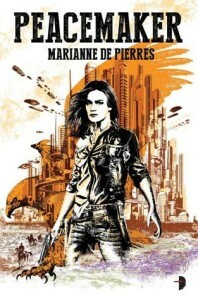 Marrianne de Pierres takes urban fantasy and societal downfall in a unique and intriguing direction. I’m such a huge fan of this author and both her versatility and intricacy in storytelling. 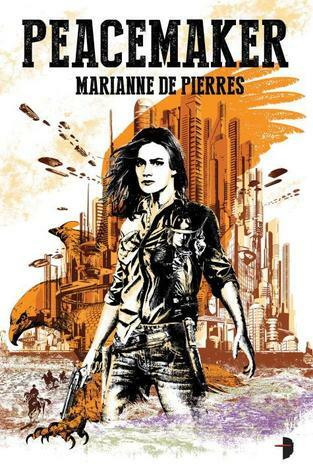 ‘Peacemaker’ is visionary, it’s so different and marries elements that remind me of space opera, with urban fantasy unlike anything we’ve seen before, intermingled with elements of the old Western pulp stories with stunning results. 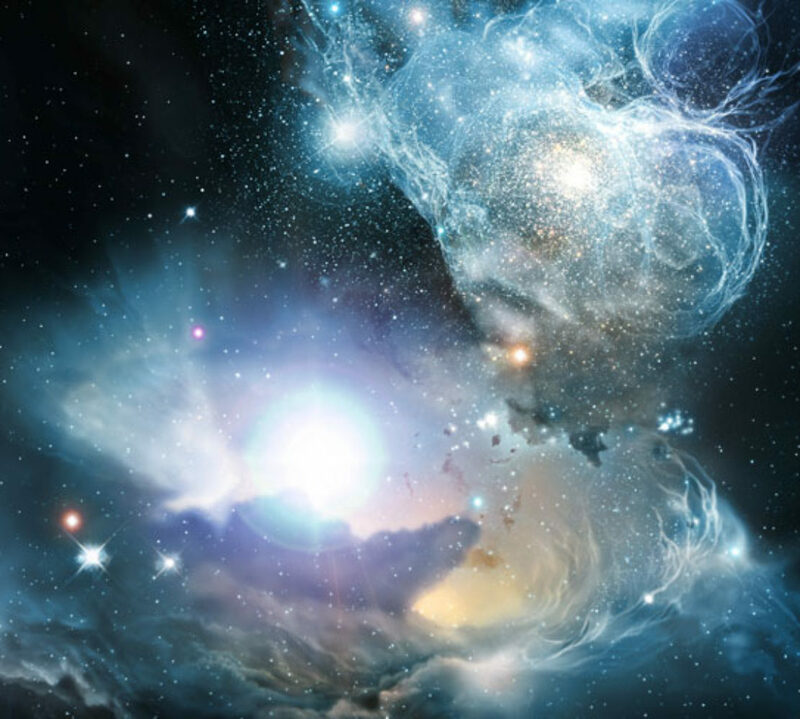 One of the interesting things about this universe is that it’s all believable. It absolutely makes sense that in the future setting of this book, there is just a supercity and one lone Outback reserve. The rest of the details on what remains of Australia and indeed the rest of the world is a little sketchy, there’s hints about it but there’s no global picture offered. The mythologies intermingled in this novel are engaging, and very little is let slip by the author – this is a taste test where we discover the existence of these unknowns from another reality, what is fact and truth remains blurry. Virgin Jackson is a brilliant heroine, she’s both fallible but has strength of character that draws you in. I found Nate to be equal parts mysterious and coy and I really want to know more. Caro’s friendship with Virgin makes her real, brings that three dimensional experience to the characters and the events of the book that really bring them to life – that’s the role of a good secondary character and Caro is masterfully written. All the peripheral characters leave an impact and this is unusual, more often they’re forgettable. In ‘Peacemaker’ I can still hear Papa Bise’s voice in my head and I can picture Kadee Matari in my mind like a photograph, even Virgin’s boss Bull Hunt leaves a lingering impression. These are the kind of characters that I am invested in and would read about over and over again. I love that the futuristic landscape is recognisably Australia, and yet also seems to be so very alien as well. So close and yet so far is the only way I can describe it; everything is just within the boundaries of recognisable so it doesn’t seem like it could possibly be that far away – but the societal and environmental consequences create a cognitive dissonance because such vast changes don’t seem possible in any kind of short time frame. The effect discomforts the reader even as it draws them deeper into the intricate storyline. The plot for ‘Peacemaker’ is beautifully layered and it unfolds carefully, not giving too much away. Always the events and experiences of the characters draw you in a little deeper you wonder what happens next. Even if you can guess the succession of events, the motivations and reasoning behind them remains obfuscated. I devoured this book in one sitting, I couldn’t put it down and I’m already eagerly counting down to book two. If you like urban fantasy, unique heroines and intricate plots I highly recommend this book for you.